Situated in Middle Park along Sumners Road, we offer a wide array of dining and entertainment options for everyone to enjoy. For customers looking to grab a bite to eat, make sure you check out our Graziers Steakhouse. We’ve got all your pub favourites, kids meals and regular specials to leave you full and satisfied! The bar offers a relaxed and friendly atmosphere perfect for catching up with friends or a relaxing drink. 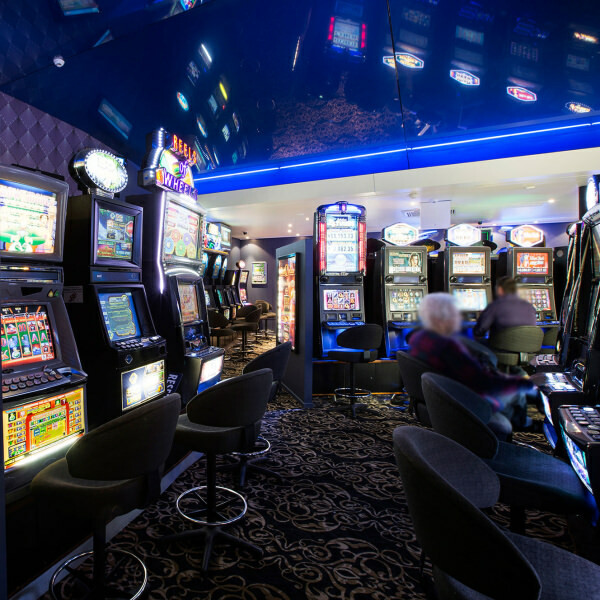 With plenty of weekly entertainment, multiple screens for live sports events, TAB, Sportsbet and Keno facilities there is never a dull moment. Why not drop in, have a game of pool in the bar or enjoy time with the family in our bistro. If its a relaxed family friendly atmosphere you are looking for you will find it here at the Centenary Tavern. Here at the Centenary Tavern we have something on the menu for everyone. In our Graziers Steakhouse we will cook you the perfect steak, however you like it. With a multitude of different cuts, toppers, sauces and sides you will be coming back for more. If you are in mood for something a bit more traditional we have you covered with a wide range of the traditional pub meals like a succulent Chicken Parmigiana or hearty and tasty Graziers Meat Pie. Bring the whole family along to enjoy a delicious meal with our variety of kids menu options. The kids will be entertained during your stay with an indoor kids rooms equipped with everything they need from arcades to TV and if this wasn’t enough Centenary Tavern is also home to the largest outdoor playground a hotel can offer. With indoor and outdoor dining options available the relaxed atmosphere will suit any event, from a casual get together, family dinners or even work events or parties. Our friendly and polite staff will serve you great food with a smile while you enjoy everything the Centenary Tavern has to offer. So what are you waiting for? Experience the Centenary Tavern today. The Sports Bar at Centenary Tavern is a favourite with locals and visitors alike, with a variety of great food and drinks available seven days a week. We have a range of regular promos and events running throughout the week so make sure you drop into our Sports Bar today. What hotel offers the largest outdoor kids playground, indoor kids games room, monthly Family Fun days with Jumping Castle, Petting Zoo and face painters? The Centenary Tavern of course! The Centenary Tavern caters to a wide variety of the community and families are very important to us. There are always activities available for the kids and we are open 7 days a week with all day dining from 11:30am - 9pm and kid's club members eat free every Sun night! All children are permitted within the premises until 10pm but must be supervised by a responsible adult at all times. We also specialise in kids parties and can tailor a package large or small to your budget or needs. We look forward to seeing you soon at Centenary Tavern. Open all day every day!